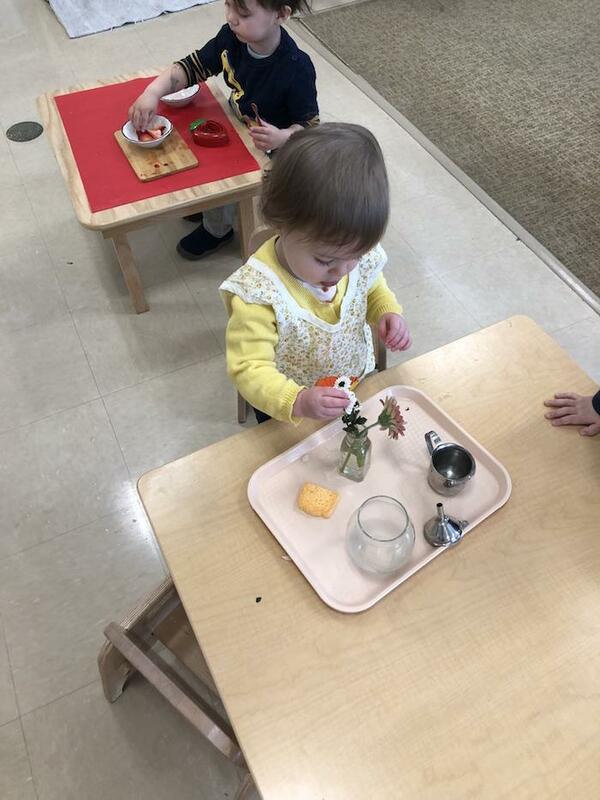 "Grace & Courtesy" is an integral part of the Montessori curriculum, beginning in the early childhood classrooms and continuing through the elementary levels. 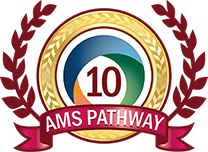  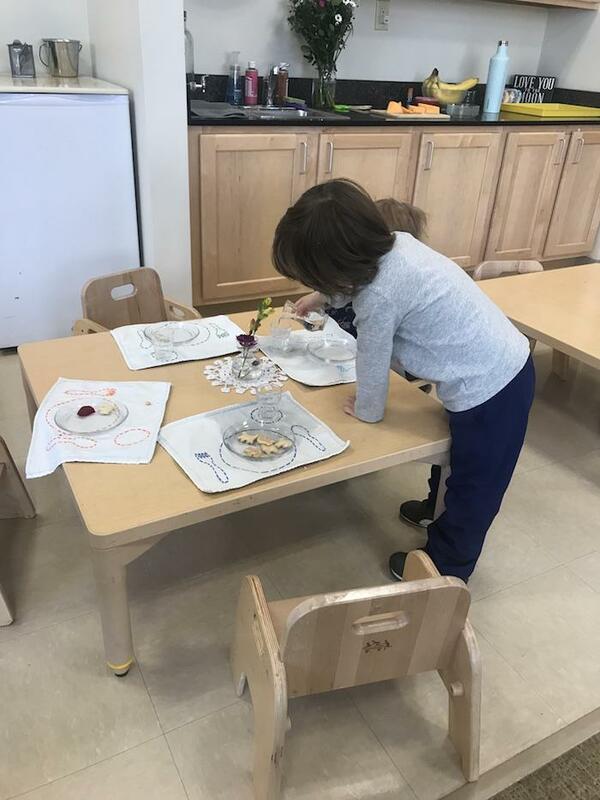 The name is almost a misnomer because it gives the impression of being rooted in politeness (which certainly has a role) but is really about three key principles: respect for self, respect for others, and respect for the environment. 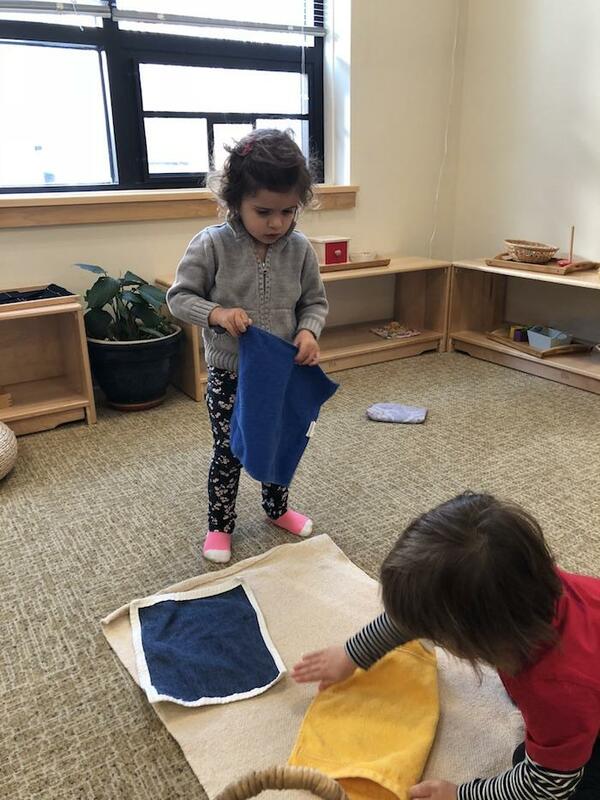 Dr. Montessori believed that once you identify within yourself that you are capable, you will then identify your purpose. 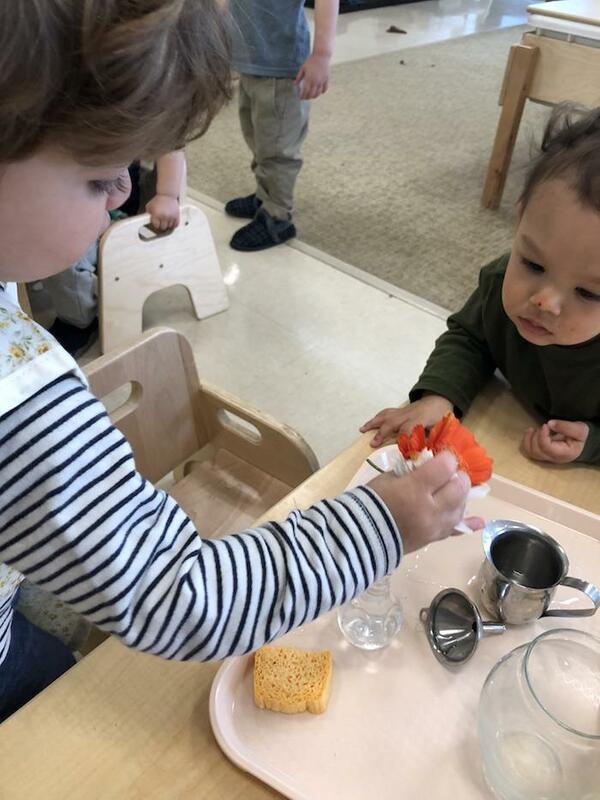 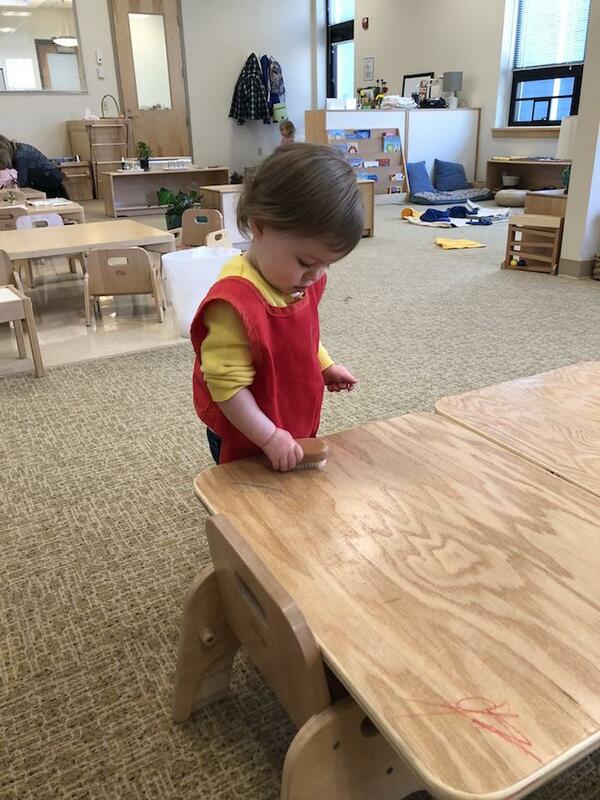 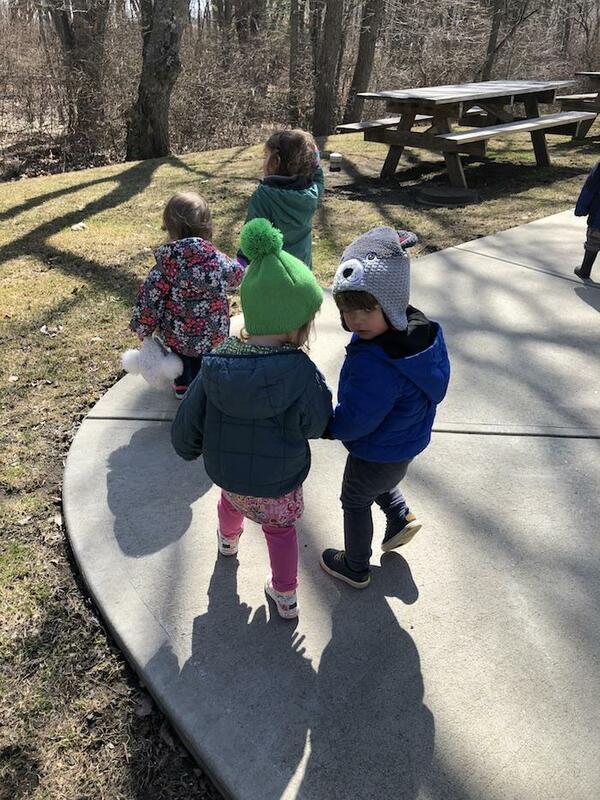 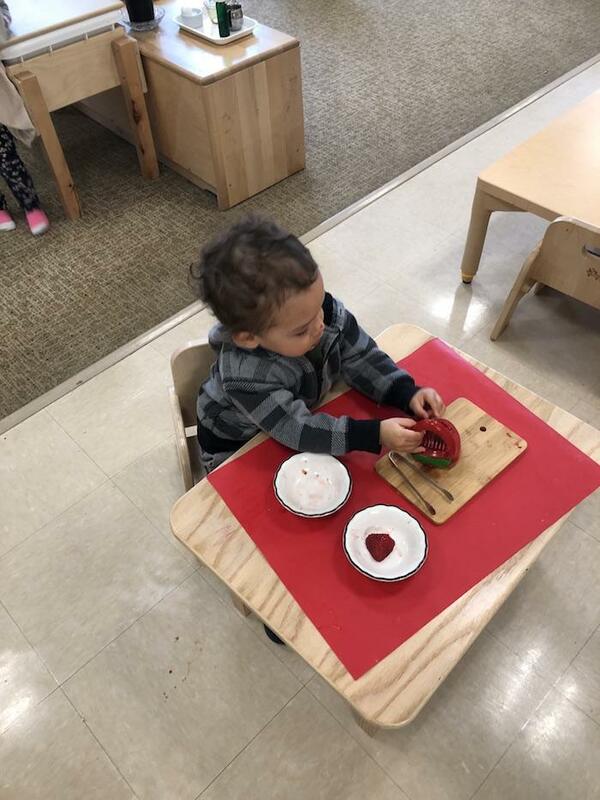 In the Toddler program, every day is focused on presenting the children with opportunities to discover what they can do - and then ripple that ability across their classroom community. 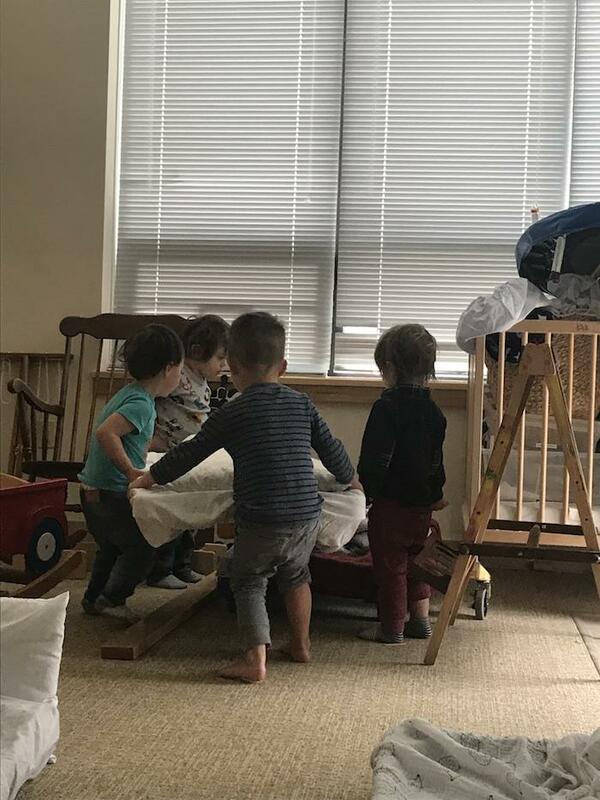 For example, once the child has discovered their ability to put on their socks, they then realize that they are capable of helping a friend. 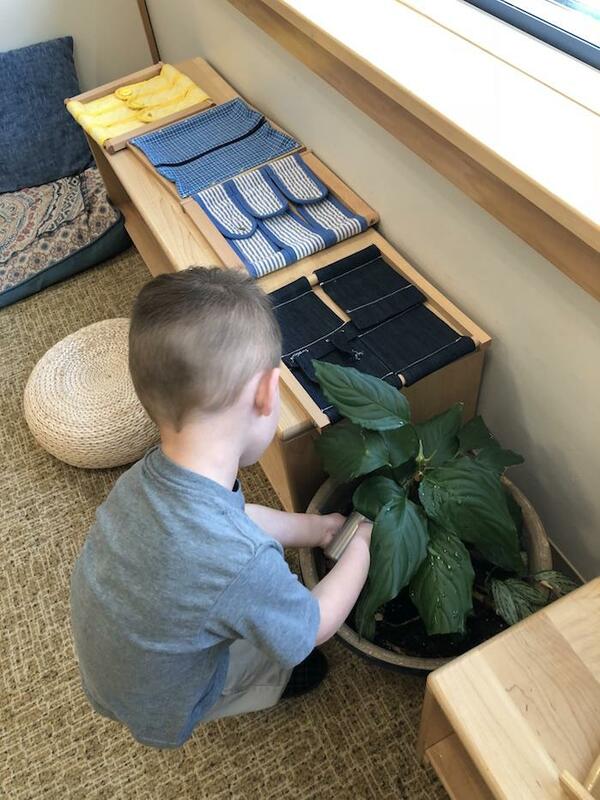 Grace & Courtesy "lessons" are not found on the shelves, they are presented within the context of the Montessori Practical Life curriculum, designed to develop positive life skills and to help learn social skills that that will serve them throughout their life. 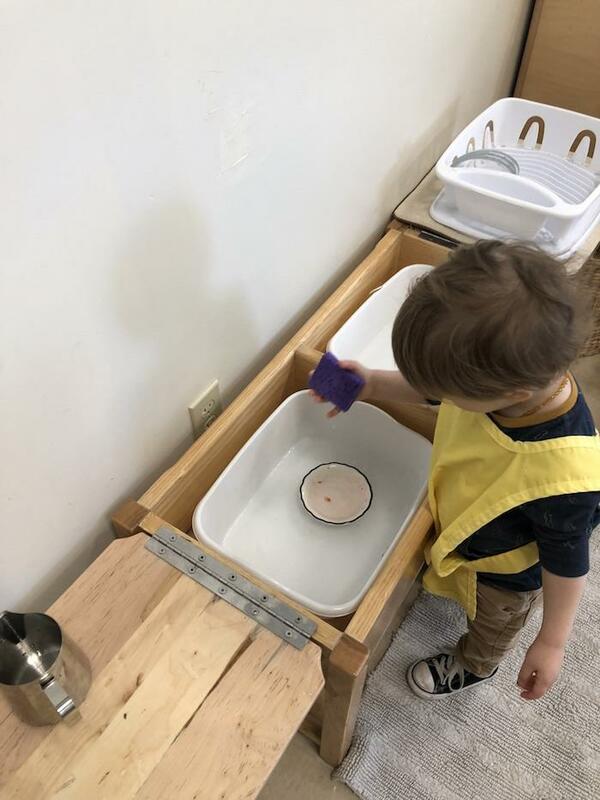 Much of this work is taught through modeling of behavior, as children are keenly observant and absorbent during this stage of life.